Vélo Vogue: ¡fiesta a bicicleta! It's the event that EVERYONE is talking about! 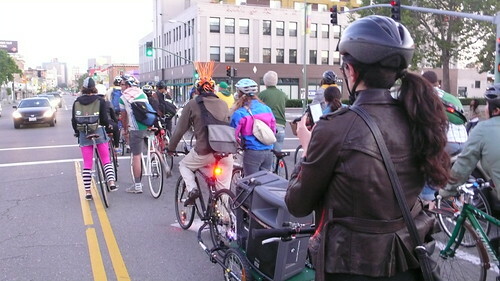 It's the inaugural SF Bike Party this Friday January 7. I CAN'T WAIT! Even better than ending in Hayes Valley is that it starts at the ballpark. Kinda like Critical Mass, but a little more friendly and not as huge a rager. Still to draw a great crowd no doubt! With music accompaniment all the way! I went to an East Bay Bike Party a few months ago - theme 80s night! This Friday our theme is "Birthday Party." Because it's SF, I expect to see at least one person in his/her birthday suit.